Alt-rock/pop singer-songwriter Vince Grant battles his depression demons in his sonically uplifting new video. 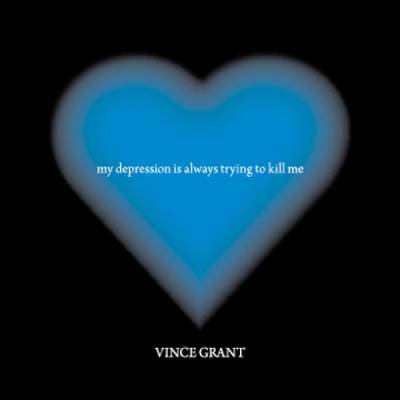 Singer-songwriter Vince Grant has been locked in a life-long battle with depression, but that hasn’t stopped him from creating a vital piece of work with his EP This Depression Is Always Trying To Kill Me. Grant’s vivid, confessional songs are filled with his heartfelt emotions and acutely perceptive lyrics that focus on the struggles of managing an emotional balance while continually fighting against the specter of depression. It’s something that haunts Grant every day, maybe not so much one day, but more so the next. By describing his personal journey through imagery-filled lyrics and guitar-based music, he’s connected with listeners who know his pain or are trying to understand the complicated relationship between depression and the self. While This Depression Is Always Trying To Kill Me has been out for over a year, Grant recently released a new video for the alt-rock/pop track “Oceans II”. It’s a sonically uplifting number that flows with acoustic and electric guitar lines, occasional organ notes, subdued percussion, and a steady beat. Grant’s yearning, emotionally potent vocals are front and center on the first verse as he proclaims that he’s singing “…a song for someone in a symphony of twilight / …diving to the place / and it feels like oceans.” The chorus surges with the vibrant buoyancy of sharper guitar jags and a stronger drum beat and percussion. Grant ends “Oceans II” with the wistful refrain “…it feels like I’m almost there.”, a testament to the continual conflict to strive to maintain an even keel in stormy waters. 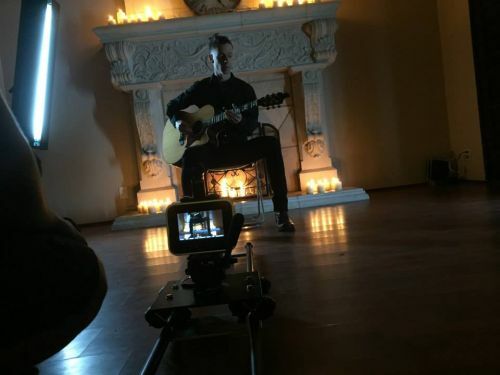 The video for “Oceans II”, directed by Sandu Negrea, is relatively simple and direct, with shots of Grant playing acoustic guitar and singing plaintively to the camera, interspersed with footage of him walking through a tunnel and sidewalk in a city environment. The black ‘n’ white video has a saturated depth to it that gives the images a glossy richness. It works well with Grant's song that is so heartfelt and relatable.